Mio, a subsidiary of MiTAC International Corp., officially introduces their latest MiVue series of dashboard cameras in the Philippines, featuring Super High Definition video recording quality and F1.8 (F2.0 in some models) aperture to provide clearer and wider-angle video while on the road. The latest Mio MiVue series consists of 3 premium dash cam models: Mio MiVue C320, 698, and 658 WiFi. The Mio MiVue series is a revolutionary collection of high quality dash cams that allows drivers to comprehensively record their daily driving activities, enriching their safety and security on the road. MiVue DVRs can capture videos with sharper image quality and in more vivid colors, whether recording during the day or night. Featuring a 2-inch screen with a sensor that has 2 million pixels, the MiVue C320 is the ideal in-car DVR for any vehicle. The MiVue C320 has a 1080p full HD display mode, a built-in G-Sensor, F2.0 glass lens aperture, and has a wide-angle camera with 130-degree view angle with no blind spot. It also supports 128 GB memory for up to 22 hours of continuous recording. The MiVue 698 is your personal eyewitness on the road, with integrated GPS and lifetime safety camera alerts for optimal safety on the road, featuring a 2.7-inch touch screen panel with a 3 million pixel sensor. The MiVue 698 has a F1.8 glass lens aperture, built-in GPS and G-sensor, Super HD 1296p front camera resolution, and equipped with a 140 degree wide angle lens that can capture every detail during critical moments on the road. It can also hold up to 128 GB memory for up to 22 hours of continuous recording. Featuring a 2.7-inch touch panel with a 4 million pixel sensor, the MiVue 658 WiFi is the ultimate in-car DVR that enables the driver to instantly send and share recordings to a smartphone via the integrated WiFi feature. The MiVue 658 WiFi can also record videos in Extreme HD quality but in a smaller file size, it has a F1.8 glass lens aperture for brighter and clearer videos even in low light conditions. 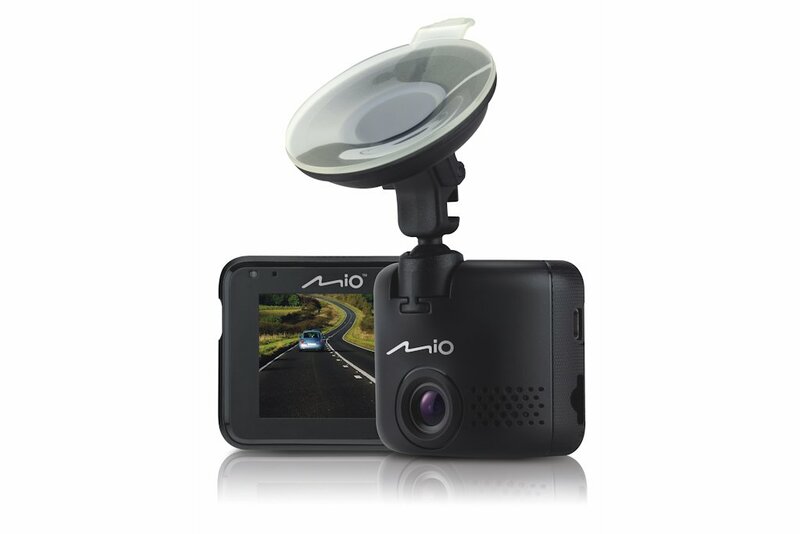 Mio MiVue dash cams are committed to providing high-quality video recording through the use of its Premium Lens made of full glass lens with 1 infrared filter. Mio MiVue dash cams are tested through the world’s first certified Drive Video Recorder testing chamber with every product passing over 50 quality tests and 300-hour non-stop recording tests, and they also have multiple ISO certifications which assures the quality of the products. The Mio MiVue series consists of the following dash cam models with their SRPs: MiVue C320 (P 4,990.00), MiVue 698 (P 7,990.00), and MiVue 658 WiFi (P 9,990.00). Mio’s high quality dash cams are now available in Digital Walker stores nationwide. Digits is the exclusive distributor of Mio products in the Philippines.